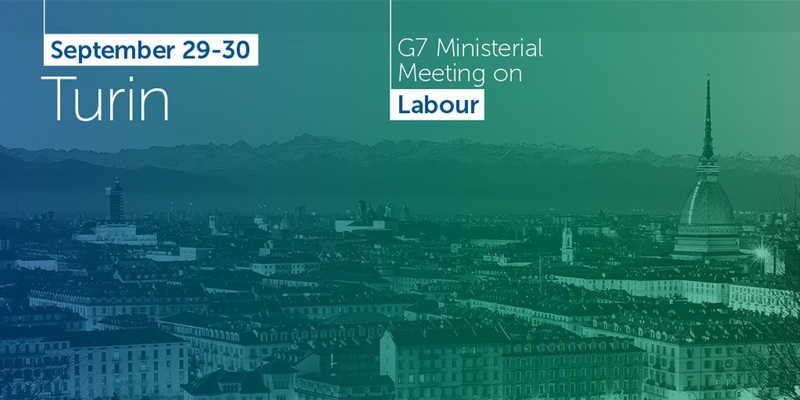 The G7 Ministers of Labour and Employment Meeting will take place on September 29 and 30 at the Venaria Reale Palace in Turin. The meeting will be held in the framework of a week dedicated entirely to the challenges of the "Fourth Industrial Revolution". Not only do the Ministers of Labour and Employment, but also the Ministers of Industry, Education and Research will address this topic in separate sessions, focusing on their specific fields, but with an integrated and coordinated approach. Labour is a key component of change: the way in which the future of work and welfare is shaped will have a significant impact on the whole innovation process. For this reason, the key message that will guide the discussion will be "placing people and work at the centre of innovation”. The ministerial meeting will be inspired by the action plan adopted by the Heads of State during the G7 Summit in Taormina, starting from the inputs and experiences gathered so far in various international forums, in particular the excellent results of the G20 German Presidency, with the aim of providing further contributions to the development of shared and effective solutions. Italy believes that it is time to address these issues at G7 as well, focusing on the peculiarities of our economies and bearing in mind the added value that the G7 could provide to identify common solutions, albeit diversified at national level. The meeting will therefore aim to address future labour and employment policies and to agree on concrete operational follow-up to make cooperation between G7 member countries stronger and permanent and to strengthen the G7 leadership role in this area. During the event, the G7 Labour and Employment Ministers will also have the opportunity to meet the international social partners. The events of the week dedicated to innovation includes the conference "The future of work in Europe. Digitization and its impact on new and old jobs” that will be held on Friday 29th. The initiative, promoted by the European Commission's Representation in Italy and with I-Com's scientific support, will focus on the impact of digitization on the future employment challenges in Europe and Italy.